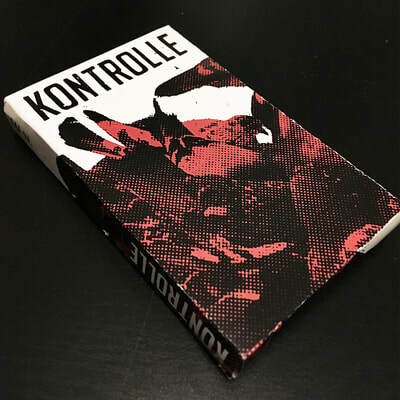 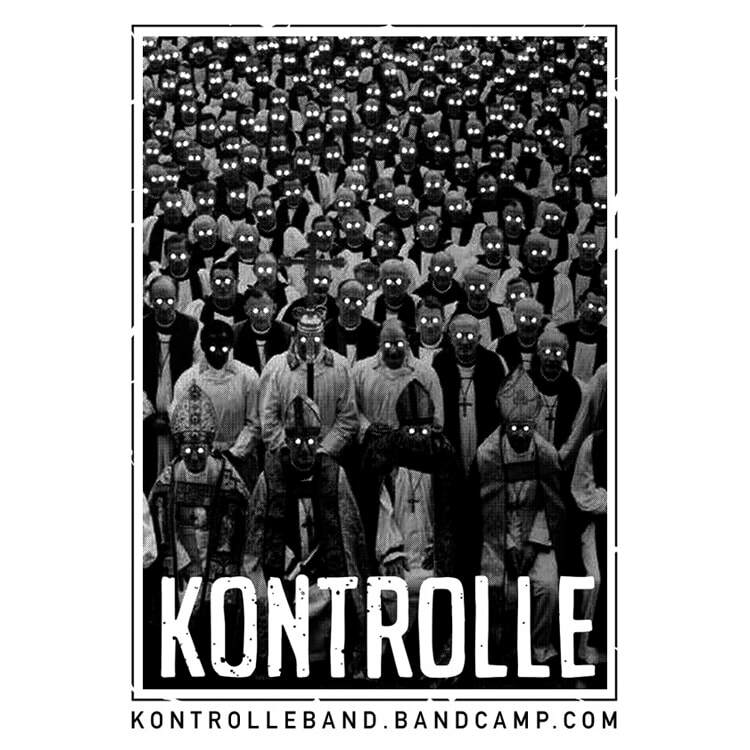 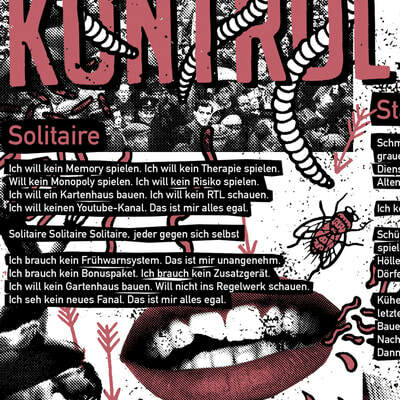 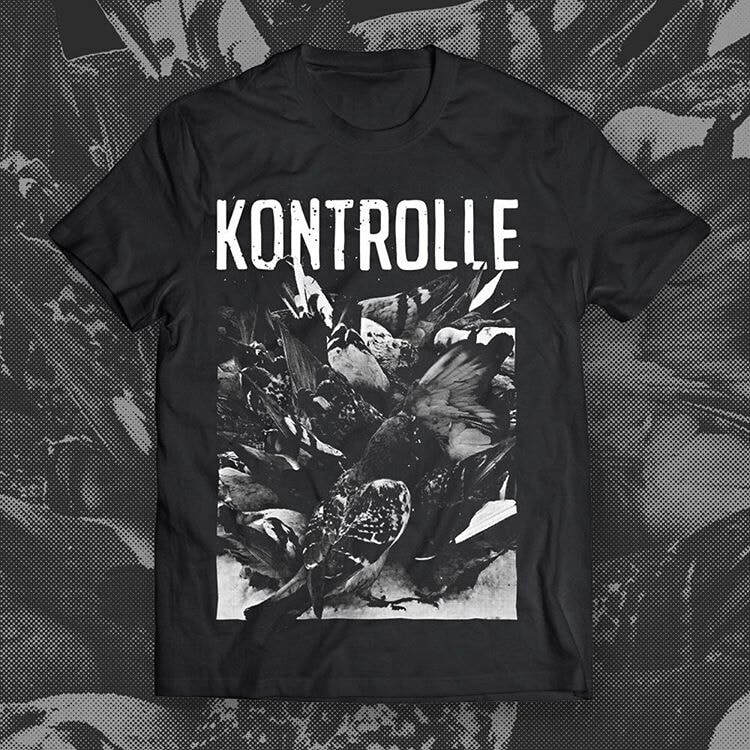 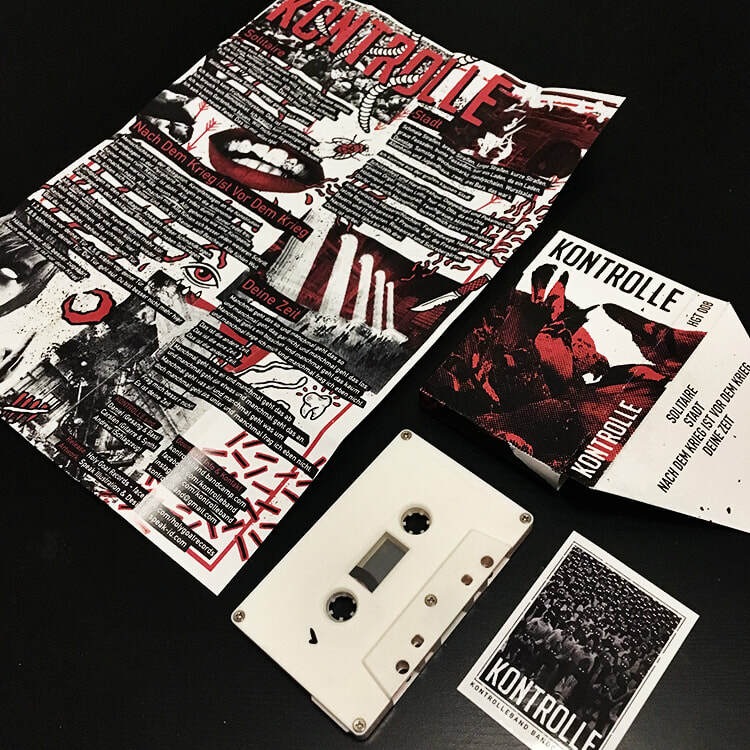 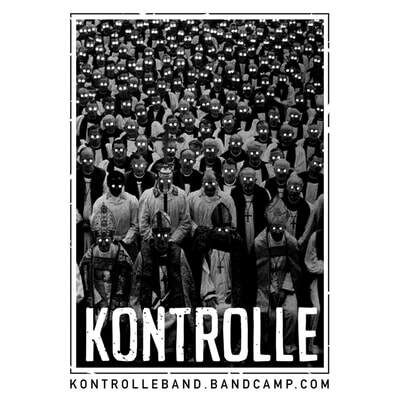 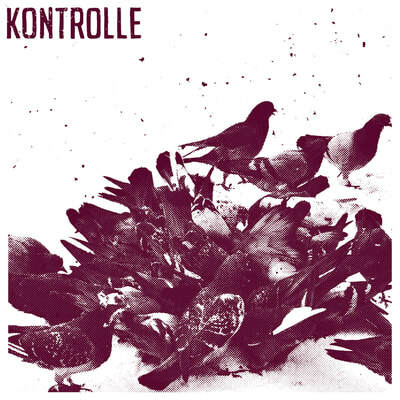 Kontrolle is a 3-piece 80’s inspired post-punk band based in and around Düsseldorf. 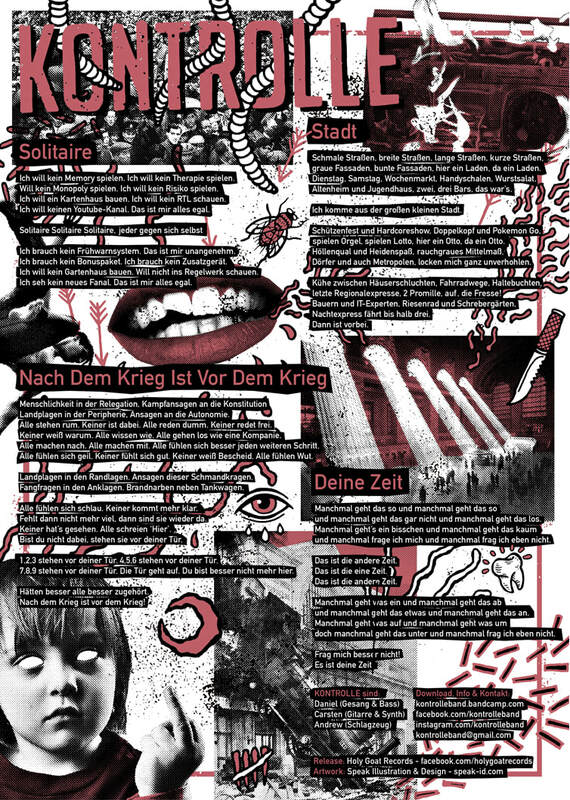 When thinking about the art direction I thought would be suitable, I decided that rather than focus heavily on drawing, I would like to work with black and white digital photography, halftone effects and bright colours, mainly inspired by photocopied cut and paste punk flyers from the late 80’s. 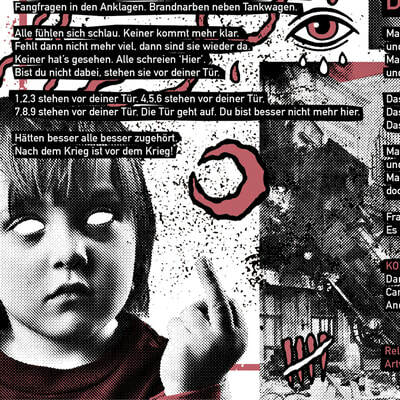 For our demo tape release, I also put together an inlay sheet for the lyrics which mixed this style of photo-collages with small hand drawn illustrations. It’s overall appearance is quite messy, which fits the style of music and lyrics. 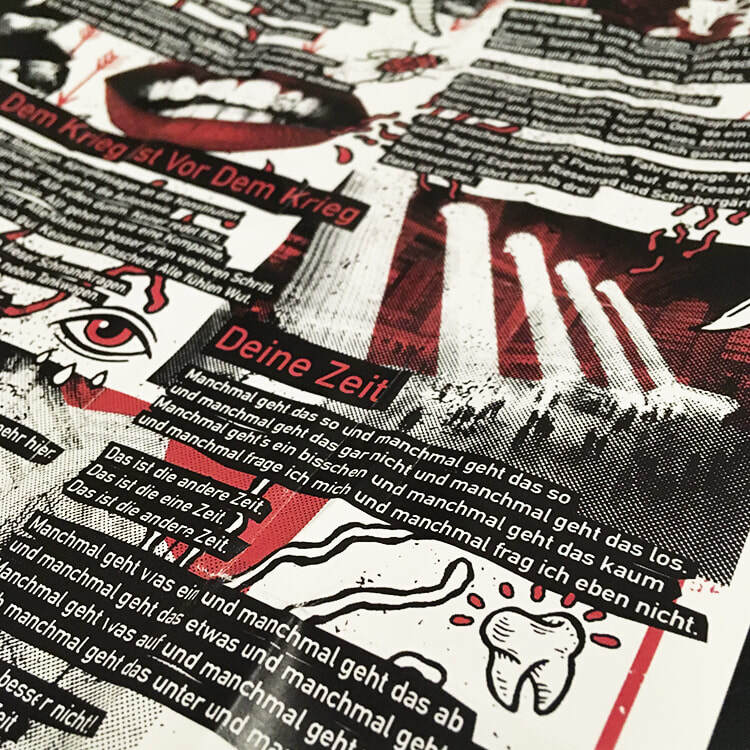 T-Shirt and Sticker designs were also developed in a similar style.